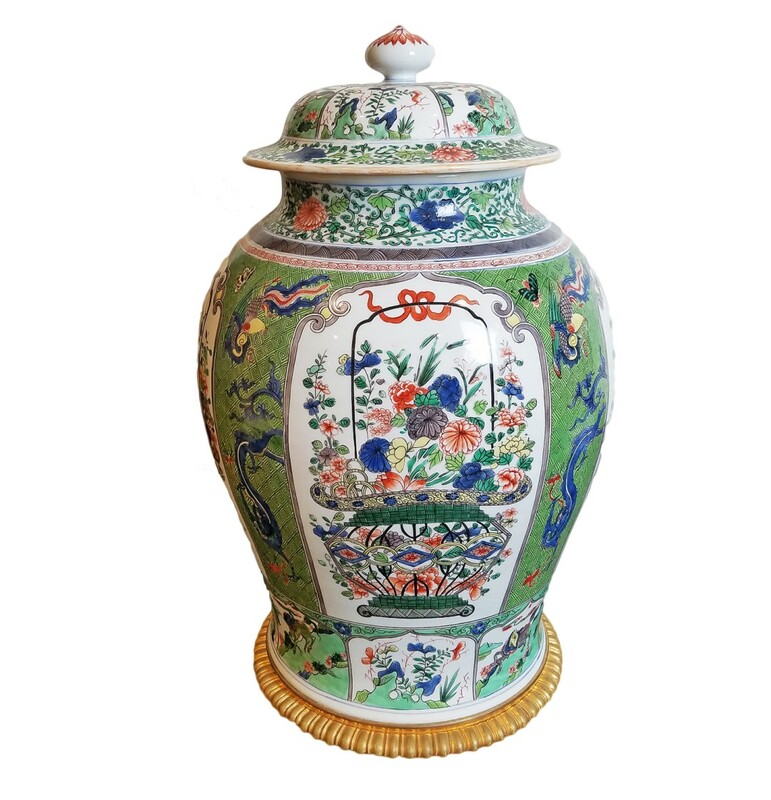 Porcelain Jar-Chinese Famille Verte porcelain covered jar. Dore bronze mount. Circa 1880.